TL; DR: Boasting more than 1.9 million registered domain names, the DADA group of hosting brands — led by Names.co.uk — provides the full slate of web hosting, domain name, and email services for more than 600,000 active customers across Europe. Commercial Manager Abhinav Mathur gave us an inside look at how the sister companies work together to provide personal support and affordable services, all while tailoring products to serve each brand’s specific audience and brand goals. One of Namesco’s hosting clients was having trouble configuring a firewall. Before the company’s support teams could solve the issue, a fast-acting network manager — who wasn’t trained in customer service — used an internal resource to alleviate all the hangups. A few months earlier, a support agent responded to a customer’s support ticket a few minutes after it was submitted — on Christmas Day. The bewildered user temporarily shelved the issue to make sure the employee knew it was a holiday. To Abhinav Mathur, the stories are just a few examples of how his team at Namesco builds lasting, personal relationships with customers. 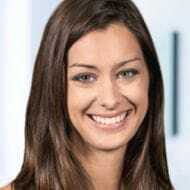 The company is part of the DADA Group’s 14-brand collection of European hosting providers and domain name registrars. Abhinav, a Commercial Manager with Namesco, said he enjoys being on a first-name basis with many clients, some of whom even have his coworkers on speed dial. For about a decade, Names.co.uk methodically invested in upscale hardware and user-friendly tools concentrated around streamlining the shared hosting experience. Before being sold to Register.IT, Namesco gained early traction and growth by selling domain names and acquiring other small hosting providers. The Italian company, owned by DADA, also purchased several other hosting providers throughout Europe, focusing on affordable domain names, shared hosting, website builders, and eCommerce tools. PoundHost, later rebranded to Simply Hosting and Servers, joined the Namesco network as a high-end provider of dedicated, cloud, and virtual servers. 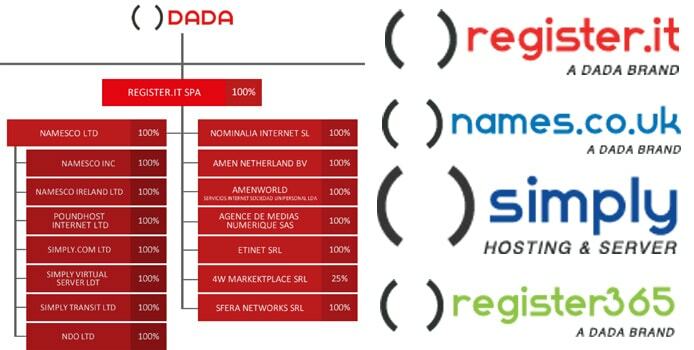 After acquiring several hosting companies, the Namesco portfolio joined Register.IT and the DADA Group. Now, Namesco registers about 40,000 new domains each month for customers, contributing to the pool of nearly 2 million domain names already registered through the company. The larger Register.IT collection of brands operates in seven European countries. “We sell intergroup, intercompany, and have customers around the world,” Abhinav said, adding that DADA Group brands will have to adjust shortly to another owner. British private equity firm HgCapital recently announced a deal to acquire 69% of DADA Group in October 2017 for upward of $53 million. With so many sister companies across the DADA Group, coupled with the collection of Namesco properties, Abhinav said there is a lot to keep straight. He described three different factors that help differentiate the various brands and target audiences. Even though some of the Namesco companies offer overlapping services, each brand has developed a niche based on geographic location or a reputation for providing a particular signature service. Namesco brands’ varying reputations lead to different price points, Abhinav said. Even when two or three companies offer similar services, Namesco finds ways to tweak the infrastructure or products to warrant unique pricing. “By starting with a holistic view, you can find ways of offering similar things with ever-so-slight differences, which leads to minor variations in the costs,” Abhinav said. With so many overlapping services, Abhinav said the Namesco companies spend a significant amount of time making sure the various brands describe the similar services differently and clearly across the separate websites. Namesco’s portfolio of European hosting brands enable the companies to offer a wider range of services while remaining small enough to appeal to local audiences looking for a personal touch, according to Abhinav. Commercial Manager Abhinav Mathur oversees the relationships among several Namesco brands. An added benefit to the multi-brand approach to similar hosting products is that multiple Namesco brands often appear in potential customers’ Google searches. Namesco leaders regularly examine data to make decisions on products and marketing messages. Abhinav said the metrics — whether competitor analysis or benchmarking their own brands — often reveal ways to boost customer satisfaction and server performance. For example, Names.co.uk recently created a new online control panel for customers to manage their hosting accounts and computing resources. The brand also just launched a new range of managed dedicated servers, and Abhinav said similar expansions will be coming to Simply before the end of the year.